The journey of a thousand miles begins with a single step. This Chinese proverb sums up Frank and Liz Menezes journey as founders of Metal Cross Vehicle Makeover Clinic. Friday 3 March 2017 marks the 10th year from the day Frank established his Scratch and Dent Removal business. Frank looks back with a sense of accomplishment as he recalls how he started out. 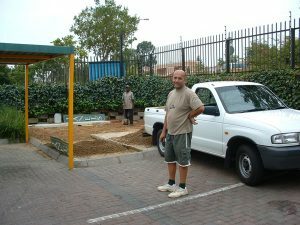 Driven by a need to make a difference, he set out in his bakkie, a mobile panel beating unit. He would call in on his clients, fixing their vehicles’ dents and scratches at their office premises and residences. So sentimental is he about his humble beginnings, he kept most of what he started out with and used it to pay it forward. Watch closer as he later in this piece demonstrates how his will to invest in the development and empowerment of young and deprived people who were hungry to learn and achieve, led to the formation of a multi-skilled, formidable and highly driven and achieving team. But first things first. In case you are wondering why Frank quit his job as a qualified panel beater with a guaranteed salary at the end of each month to pursue a startup that would burn more cash before it started rewarding him with anything other than the satisfaction of being his own boss. Well, being a Christian, Frank could no longer stand-by in the face of a panel beating industry whose moral integrity was in tatters. It was time to stand up for fair and honest quoting. He speaks passionately about doing the right things right in relation to the business’s employees, clients and suppliers. It always comes back to you, he says. 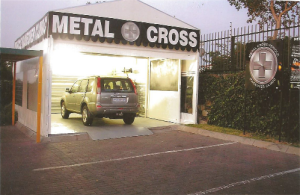 With a clear vision and core values informing his every move, Frank carried Metal Cross from the back of his bakkie to a tent across the parking lot from a carwash behind Fourways Crossing. The tent became a beacon of curiosity and hope to passersby. Frans, Arthur, Philemon, Laurence and Conscious became the first 5 employees who saw Metal Cross through its first 5 years of existence. Determined to see his future stars rise and rise, Frank equipped all 5 employees with multiple skills ranging from stripping and assembling to flatting and, spray-painting and panel beating. 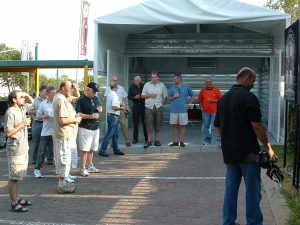 In order to accelerate their development, Frank used the point system as a performance incentive. 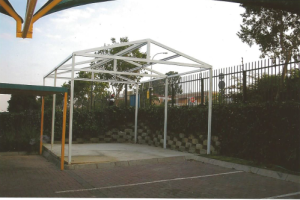 By the company’s 5th anniversary, he had 5 prizes up for grabs, his own bakkie that he stared out with as the first prize, followed by a television set, Hi-Fi, Cell phone and a Makro voucher as the 5th prize. They each received prizes. Arthur received the first prize which to this day he still drives. 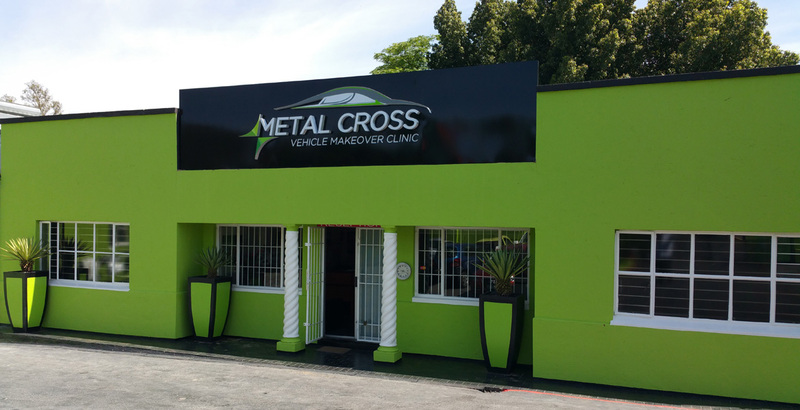 10 years later, Metal Cross Vehicle Makeover Clinic is now the leading dent and scratch repair centre in the Randburg and Fourways area of Johannesburg. With years of experience, the company has built its reputation in panel beating industry based on ethical business practice and taking care of their staff.